Shares in troubled Teva Pharmeceuticals have ticked up after incoming CEO Kare Schultz pledged to tackle “internal inefficiencies”, shaking up the company and axeing three high-profile executives. This includes Michael Hayden, who has been the company’s head of research since 2012. Teva is struggling to pay off debts that amount to $30 billion, built up following its acquisition of Allergan’s generics business last year. The Israel-based firm is also facing a severe patent cliff as its big-selling multiple sclerosis drug Copaxone faces generic competition in the key US market. Schultz was lured away from the CEO role at Lundbeck, and has announced plans to restructure the company and do away with a two-way split between its generics over-the-counter, and branded medicines operations. There will be some high profile casualties – chief scientific officer and R&D head Michael Hayden will retire at the end of the year, along with CEO of Teva’s global medicines group, Dipankar Bhattarcharjee, and Rob Koremans, president and CEO of the global specialty medicines group. Interim chief financial officer Mike McClellan will get the job on a permanent basis, while Hafrun Fridriksdottir becomes the executive vice president of global R&D. Some former global units will be integrated into the new structure, while others will be made redundant. To increase efficiency, generic and specialty R&D will combine into a single global group responsible for all R&D, including generics, new drugs, and biologics. Teva will now operate through three regions – North America, Europe and Growth Markets. 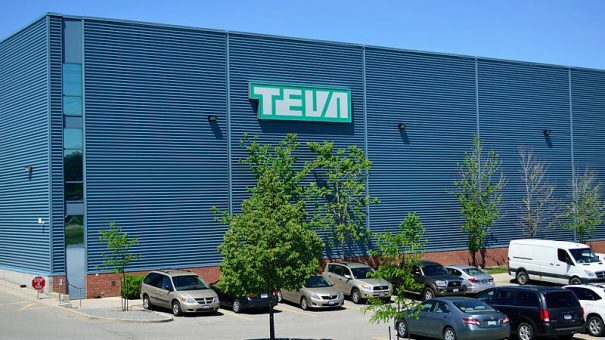 Each of the regions will manage the entire Teva portfolio, including, generics, specialty branded drugs and OTC, fully accountable for profits and losses. A newly created division – Marketing and Portfolio – will oversee the link between regions, R&D, and operations throughout a drug’s lifecycle, and optimise portfolios across therapeutic areas. In a string of other new appoints, Brendan O’Grady takes on a role as vice president of North America Commercial, and Richard Daniell becomes president of European Commercial after heading up the company’s generics business in Europe. Former head of respiratory medicines and chief operating officer, Sven Dethlefs, has also been appointed as executive president of global marketing and portfolio. Continuing in their current positions will be Carlo do Notaristefani, EVP of global operations, Iris Beck-Codner, EVP global brand and communications, Mark Sabag EVP for global human resources and David Stark, chief legal officer.